The board of Brisbane Markets Limited has rejected a $148 million takeover bid for the company from fund manager VGI Partners. 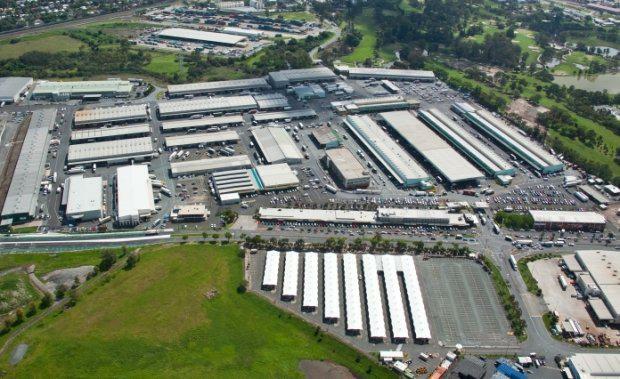 In a letter to shareholders, the Board of Brisbane Markets Limited (BML) described the hostile takeover bid by Produce Markets Queensland as a self-interested attempt to control the markets, a move that could be to the Queensland fruit and vegetable industry’s long-term detriment. The Board unanimously recommended that shareholders with a business or other interests in the markets, and those with a medium to long term investment horizon, should reject the offer but that those with no long term interest should accept it. “It reflects the risks for tenant shareholders if control of the markets was handed to a private equity firm, who is potentially only motivated by a quick financial return," Mr Joseph said. Mr Joseph described PMQ’s hostile takeover bid as “one of the most significant issues faced by the industry in a generation”, and said it was critical that each shareholder made an informed decision that considered their individual circumstances. steadily added value to the business. Total assets have grown from $86.0 million at 30 June 2003 to $243.7 million at 30 June 2015, and last financial year BML delivered a record $8.41 million net operating profit after-tax and a 12.5-cents-per-share dividend, also a record. “PMQ is entirely owned by a Sydney-based private equity firm with no genuine links to fresh food wholesaling and no apparent interest in the long-term viability of the Brisbane Produce Markets or the wholesalers, growers and retailers who rely on them for their livelihoods,” Mr Joseph said. marketplace by PMQ,” he said. wholesaler shareholders, for their future in the Markets,” he said. removing the fresh produce industry’s influence on the markets in which it operates. operation, management and development, so we could have say in our own destiny,” he said.